The term ‘moral distress’ entered nursing literature in 1984 when Andrew Jameton first described the phenomenon. 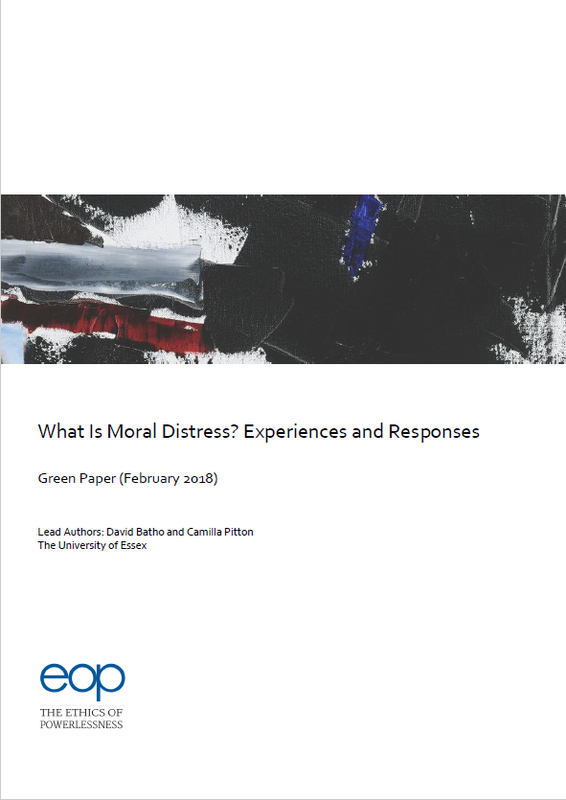 According to Jameton, moral distress occurs ‘when one knows the right thing to do, but institutional constraints make it nearly impossible to pursue the right course of action’ (Jameton, 1984: p.6). As we shall see, this brief statement has come in for criticism, led to some confusion, and spurred subsequent attempts at refinement. 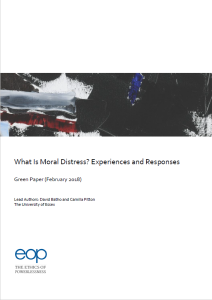 Our aim in this Green Paper is to present a critical review of discussions of moral distress, propose a phenomenologically grounded analysis of the phenomenon, and sketch an array of possible ways of responding to experiences of moral distress as described. 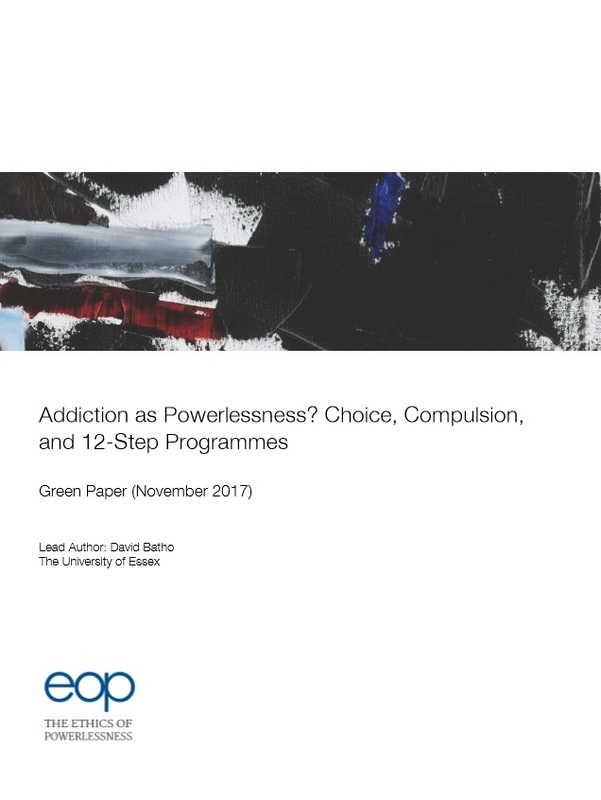 In this Green Paper we shall provide an overview of the difficulties involved not only in responding effectively to addiction but in understanding the nature of the condition. In particular, we shall focus our attention on a major question in the literature: to what extent, if at all, are addicts disempowered by their addiction? 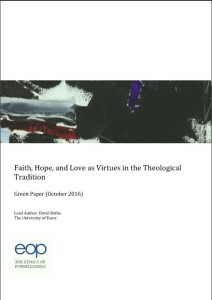 Are faith, hope, and love essentially theological virtues, and if so can they be accepted in contexts that reject the theological presuppositions? Alternatively, can faith, hope, and love be accounted for independently of theological presuppositions, and if so are have they any role to play in the good life? 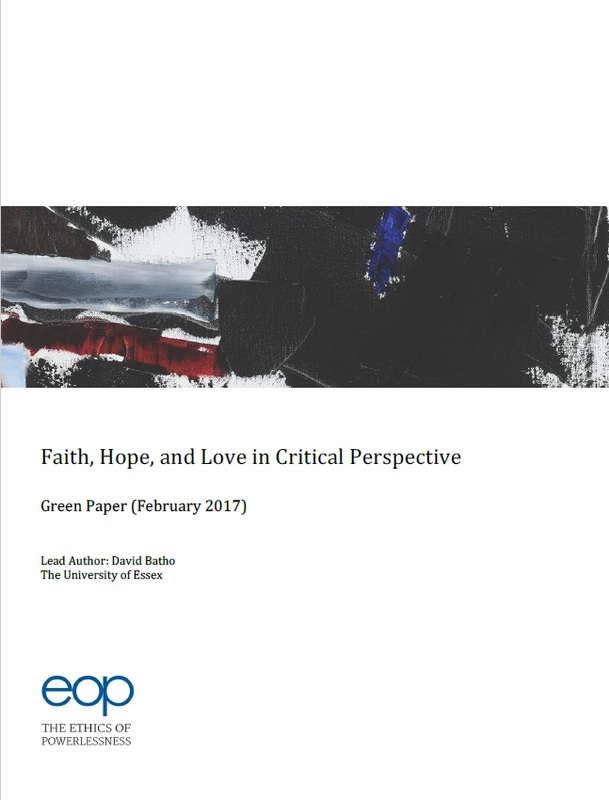 In this Green Paper, we present a number of problems that will need to be addressed by any answers to these general questions. In this Green Paper we shall provide an overview of the history of the theology of faith, hope, and love, with specific emphasis on their reception as virtues. As we shall see, the history of these terms has seen marked differences in the way in which each of the three has been understood; the understanding of concept of virtue itself; the understanding of what agency consists in; and the level of involvement of the agent in the acquisition and exercise of the three. In what follows we shall focus on a number major figures in the history of theology, at times using them as points of departure to discuss the context in which their thinking emerged. We shall begin by discussing the locus classicus of faith, hope, and love within the theological tradition: St. Paul’s first letter to the Corinthians. By examining Paul’s letter, we shall identify a number of questions with which to focus our discussion of St. Augustine, St. Thomas Aquinas, Martin Luther, and Paul Tillich. In October 2015 we published ‘Experiences of Powerlessness in End-of-Life Care’. This paper identified three key features of experiences of powerlessness as described in advanced medical research. Moreover, we proposed that these features manifest an experience of powerlessness insofar as they undermine what we called ‘the power to be oneself’. In this paper, our aim is to deepen the discussion of this latter notion. 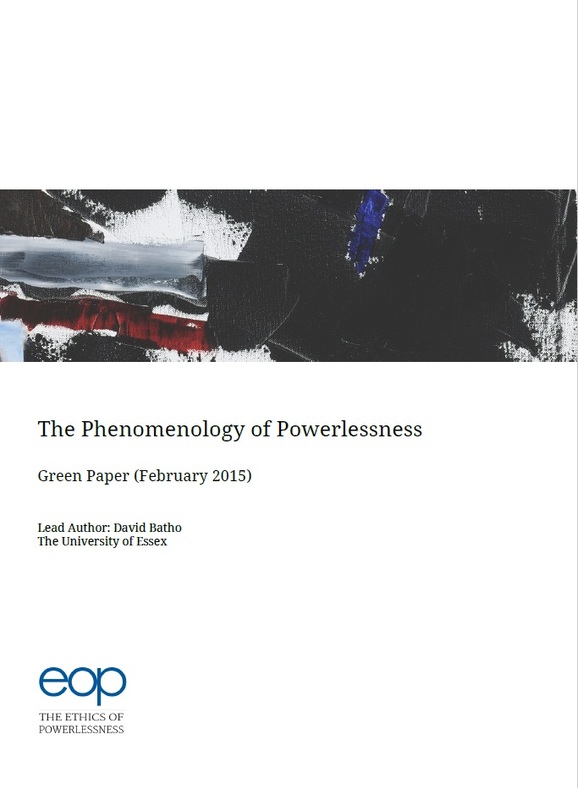 In this Green Paper we shall review recent studies on experiences of powerlessness in health care with specific interest in end-of-life care. 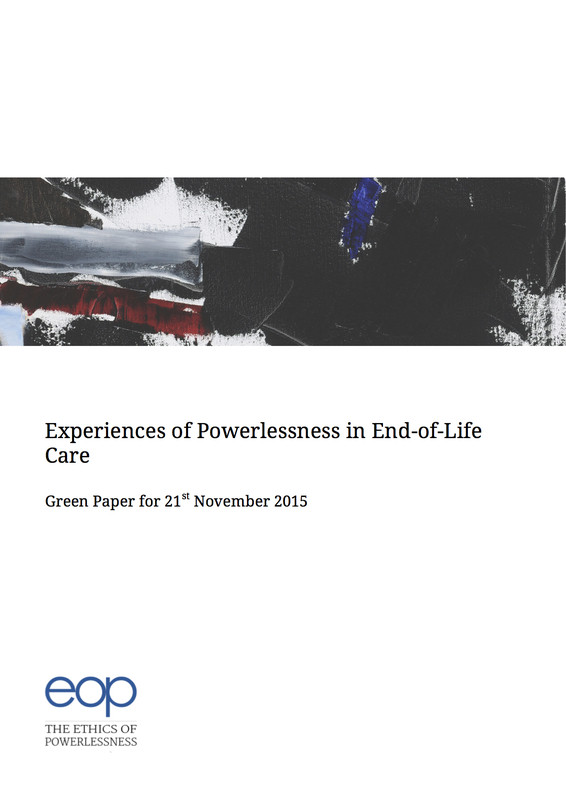 Our aim is to bring into view the central features of experiences of powerlessness in end-of-life care contexts, as these experiences have been described in advanced research. In an appendix we list a number of questions we believe call for future research.